The Andes 5 is a high quality, double self-inflating sleeping mat. 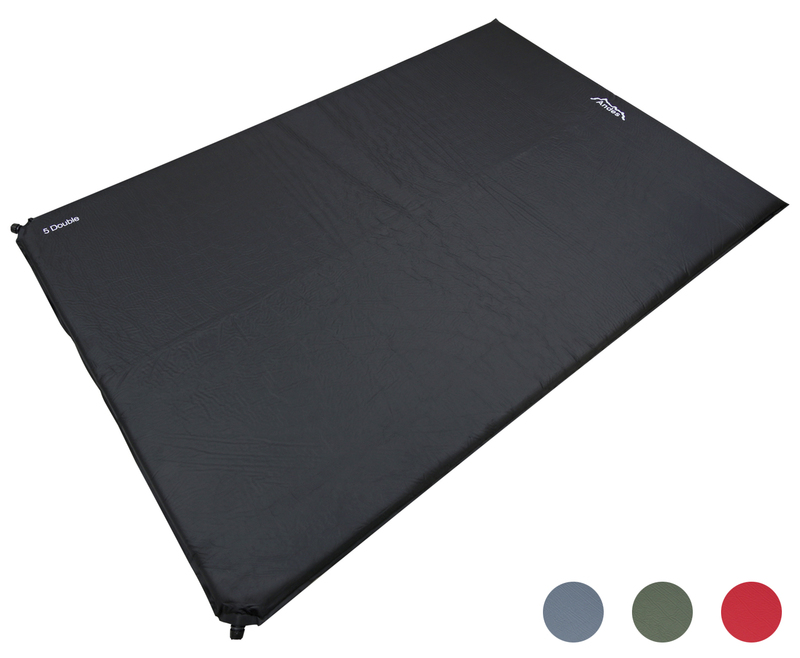 With a large size and a 5cm thickness when fully inflated, it provides a great way for a comfortable nights sleep, especially with two people sleeping on it. It is brilliant at keeping out the cold from the ground, providing insulation. Ideal for a wide variety of different situations, such as camping, festivals, fishing, hiking and mountaineering just to name a few. Its special design is water repellent, and the construction means it is extremely light, making it the ideal choice for those where free space can be an issue. 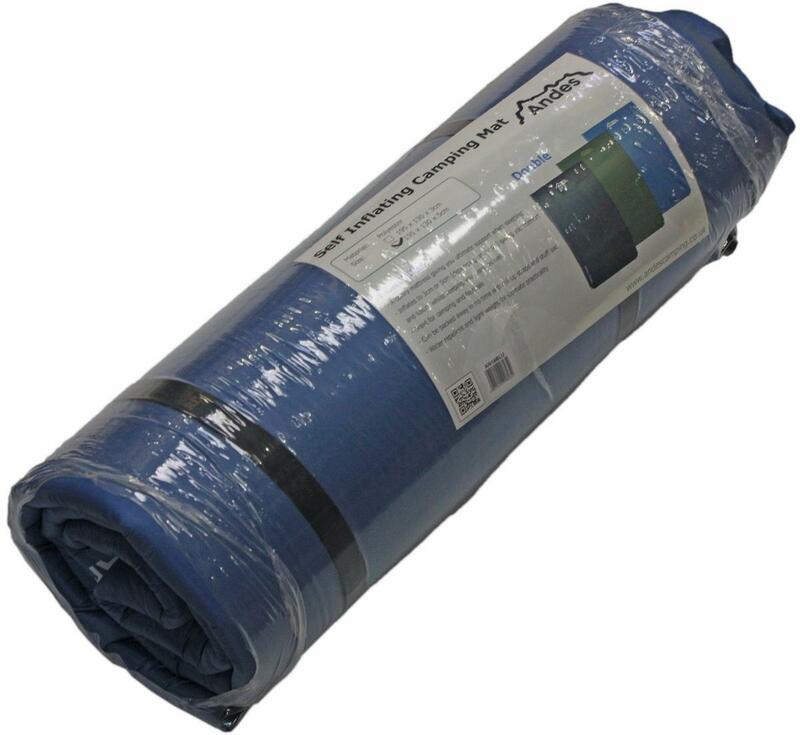 The self-inflation is a luxury that all campers and travellers should have, simply open up the valve and the air will fill up the mat, then with a few extra puffs of air from yourself your mat will be fully inflated, ready for use. It comes with a draw string carry bag for easy transportation and protection. This is a brilliant, high quality mattress that shouldn’t be overlooked by anybody braving the outdoors!